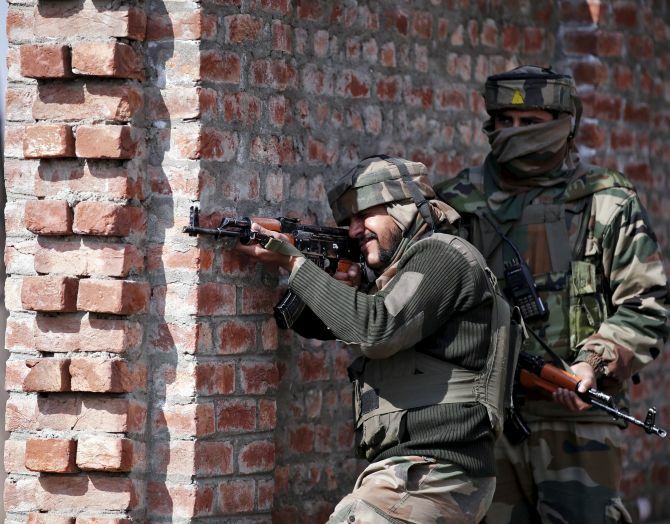 Terrorists on Thursday attacked a police station in north Kashmir’s Kupwara district, but there was no report of any loss of life in the firing. The terrorists attacked a police station in Handwara area of Kupwara by resorting to firing and also lobbed a grenade, a police officer said. He said there was retaliatory firing by the police personnel, forcing the militants to flee. There was no loss of life in the firing, the official said, adding a manhunt has been launched to nab the attackers. Earlier, in September terrorists attacked a police station in south Kashmir’s Pulwama district with grenades and automatic gunfire. The terrorists also snatched a weapon from the residential guard of a regional National Conference block president in DH Pora village of Kulgam district. In July too, one policeman has been killed and five others were injured after terrorists attacked a police station in the Kulgam district of Jammu and Kashmir.